Hands down the best anthology I have had the pleasure of reading. I wanted so badly to read a continuation of all of these stories, and I hope so so much, to hear more from these twelve wonderful authors. Featuring a foreword by award-winning Australian novelist Fleur Ferris (Risk, Wreck, Black and Found), Underdog celebrates the diverse, dynamic and ever-changing nature of our nation's culture. From queer teen romance to dystopian comedy, from hard-hitting realism to gritty allegory, this brilliant, engrossing and inspiring collection of short stories will resonate with any teen reader, proving, yet again, why there is just so much to love about #LoveOzYA. Stories are written by 12 unpublished authors from all over our wonderful country of Australia. You can find my post on the Underdog Book Launch in the link or by searching it on my blog. Since this anthology wasn’t centred around a specific theme other than the prompt “your Australia,” which is really really vague, I will briefly review a few stories and talk about the feel of the novel overall. I also want to point out that I will be choosing stories that hit me hard and that I felt the deep urge to read more from. I loved every story I read in this anthology and cherished those few pages I got to spend with each character, knowing it’s probably the last. Meet and Greet by Michael Earp – This is the cutest meet-cute story that I have ever had the pleasure of reading! It is every book lover’s dream to have a situation where they find love or at least a cute human at a book event. Finding someone who cherishes the same passion that you do is a beautiful passionate connection that ignites something in the heart. 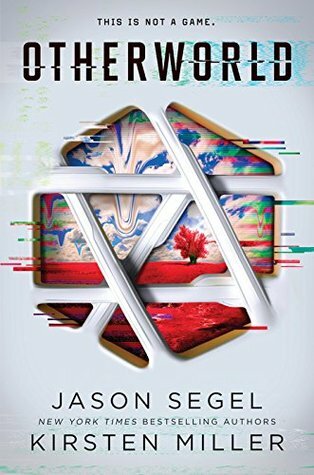 Chemical Expression by Jes Layton – I find it hard to believe that in this day and age of new and wonderful contemporary fiction in the 21st century, that I have yet to read a story with a gender queer main character. To be honest, maybe I’ve been looking in the wrong location but I am so so glad that Jes has been given the chance to shine and put her wonderful human beans out there in the world! You can read my interview with Jes Layton on my blog by clicking this link. The Bees by Stacey Malacari – These haunting few pages tells us the story of what would happen if we keep ignoring global warming, denying its existence and leading to an earth-shattering event. The results would be catastrophic. Living Rose by Kaneana May – The last story, and the one I most connected with. I saw so many aspects of myself in the character of Rose. I try to be a carefree woman in a busy world full of expectations. Where there are so many things going on – uni, work, assignments, etc – but people rarely take time to live! I want to read more of these stories, and if I cannot, then I want more from all of these authors!! So I hope that in the future I see their names on novels displayed on the shelves of book stores like Dymocks, and I get the opportunity to attend their launches and celebrate with them. Imma go now and fangirl over Lucifer and Chloe as I re-watch the series in time for season four to be on out on Netflix in May! I rated this book a ★★★★★ (5/5 stars) for obvious reasons. It’s beautifully written; it’s Australian; it’s modern; and best of all, it has given new and upcoming writers their chance to shine. This book allowed people to be able to put the label published author on their resume, and opened doors for all 12 of these wonderful people to continue gifting their talent to the world!